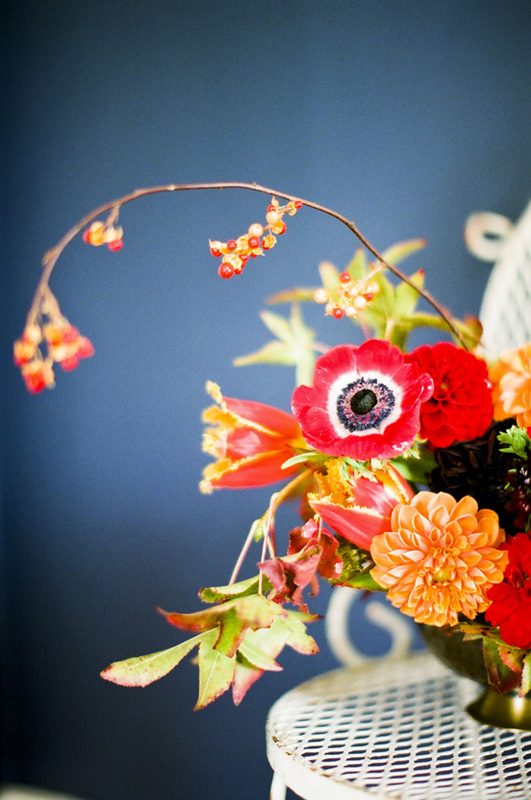 I love fall and winter flowers and for this centerpiece I was inspired by bold red anenomes with their black centers. Coupled with fall maple leaves, bittersweet, black dahlias and chocolate cosmos, I love the rich saturated colors paired with the darker, moodier flowers. Begin by placing the bittersweet and maple leaves first to establish shape. 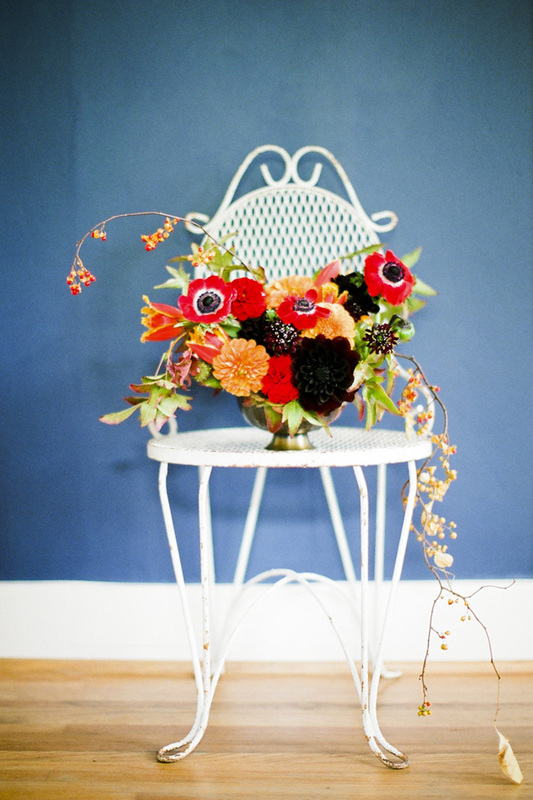 Then add in your larger blooms at different heights. Remember to turn your centerpiece periodically so you end up with a good shape from every angle. 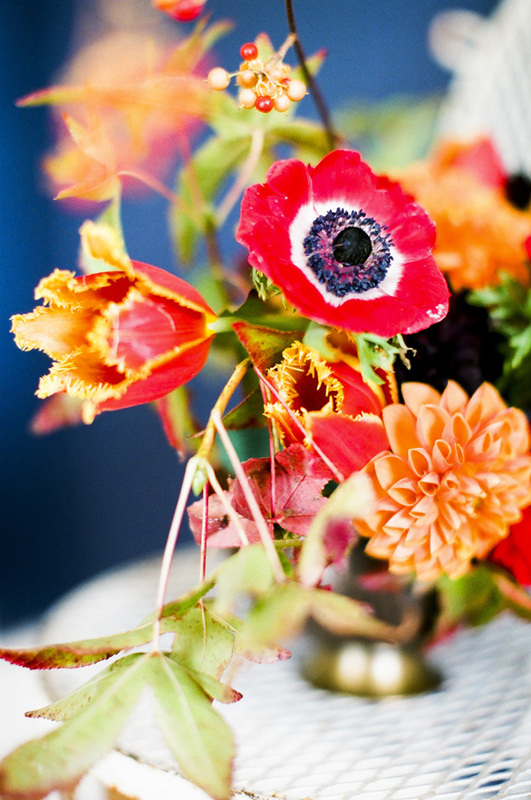 Layer your smaller flowers into the arrangement and ta da! 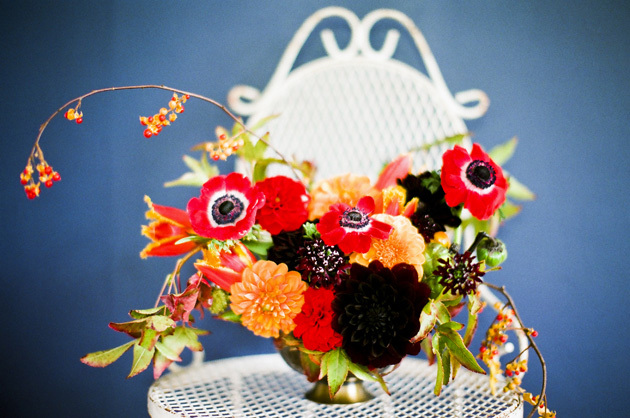 You have a beautiful fall centerpiece! Those anenomes are absolutely divine. Love this!